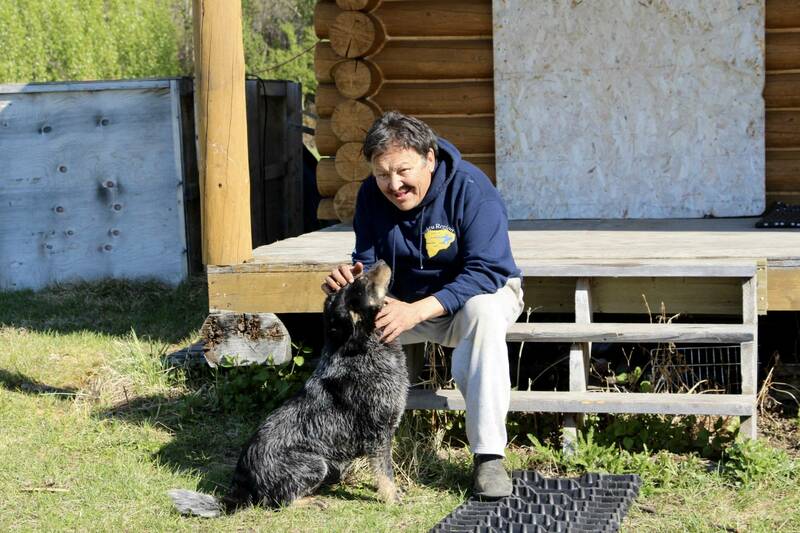 Herb Norwegian remembers the first time he saw the entire territory of the Dehcho mapped out to include over 40,000 historical, cultural, spiritual and traditional land-use sites spread across the massive region. “It was like a dreamcatcher,” says the Grand Chief of the Dehcho First Nations, who spent over seven years in the ‘90s interviewing Elders and harvesters for the creation of their land-use plan. Each interviewee was handed a pencil and asked to mark where they shot moose, where they picked medicines, where they knew graves were located, along with places like traplines, fishing spots, and the traditional names for features like creeks, valleys and islands. It’s testimonies like this that prove maps are more than just dots and lines, but actual stories, says Jess Dunkin, the land-based programs consultant for the NWT Recreation and Parks Association. “I think people tend to think of maps as navigational aides, but they’re these really rich social and cultural documents,” she says. Along with the Prince of Wales Northern Heritage Centre in Yellowknife, Dunkin is helping to host an event focused on the importance of maps and mapping in the territory this Thursday evening. The event will feature eight “snappy” presentations on a wide breadth of cartography-centred topics in a ‘PechaKucha’ format, a fast-paced presentation style that limits slides to 25 seconds each. Speakers will explore how to make a map, the politics of mapping, maps and cultural landscapes and maps in literature. The event will also include a talk on remote sensing and satellite mapping, as well as a pop-up exhibit of mapping projects, art and artifacts, and will feature two Dene place names mapping projects, like the one ongoing in the Dehcho: the Dene Mapping Project of the 1970s and ‘80s, which is being updated and digitized in the Sahtu, and the more recently launched Gwich’in Place Names project. Online traditional place name mapping has become a popular activity in almost every region of the territory over the last two decades, while communities have also chosen to assert their traditional titles through official name changes. Last week, the Dehcho community of Trout Lake became the latest to reclaim its Dene name as “Sambaa K’e,” joining the growing list of communities that have reverted from the names imposed on them by European explorers and settlers. While the Dehcho has a great foundational map already digitized, work is ongoing to collect even more sites and stories from each community. Currently, most of the emphasis in the region is on concluding the ongoing mapping work around Jean Marie River, with Fort Providence and Kakisa next on the list. Dahti Tsetso, resource management coordinator for the Dehcho First Nations, is hoping to assist that work by coordinating the annual spring youth camping trips and canoe expeditions in the region to meet at Jean Marie River, where the students can help document the stories of Elders through photos and videos that will then go online on a digital map, similar to that in the Gwich’in region. Tsetso says traditional place mapping has been made such a high priority in the region because it’s a way to preserve traditional knowledge while asserting sovereignty. Join the NWT Recreation and Parks Association and the Prince of Wales Northern Heritage Centre in the Museum Auditorium on Thursday, May 26, 2016, at 7:00 p.m. for their PechaKucha event on maps and mapping.